Tom Keane, Microsoft's head of global infrastructure, said two new Azure regions serving Australia and New Zealand, first announced in August, are now open for business. These new "Australia Central" regions, both located in the vicinity of Australia's capital Canberra are in addition to existing Aussie-based regions in Sydney (Australia East) and Melbourne (Australia Southeast) But they aren't for everybody. Customers need to qualify. To do so, some aspect of the lifeblood of Australia must depend on the organization's work. The reason behind the restrictions is to make these regions something of a turnkey approach for organizations, including the Australian and New Zealand governments, that fall under heavy regulation for security and performance reasons. Along with foreign ownership, these issues have kept some industries from being able to effectively leverage public clouds both in Australia and across the globe. Microsoft Azure is on a roll. Today, Tom Keane, the company's head of global infrastructure, said two new regions serving Australia and New Zealand, first announced in August, are now open for business. This comes on the heels of last week's announcement that Availability Zones are now ready for prime time, already live in two initial regions. Two weeks before that, Microsoft announced plans to launch new Azure data centers in Germany, Switzerland, and bring its first cloud sites online in the Middle East. But like an old TV commercial used to say, these regions aren't for everybody. Customers need to qualify. To do so, some aspect of the lifeblood of Australia must depend on the organization's work. "Our Australia Central regions are restricted to the community of Australian and New Zealand governments and critical national infrastructure sectors, along with their trusted partners," Keane said in a blog post. "They include Australian local partners like Veritec, MailGuard, and Intelledox, as well as global partners like Axon, Citrix, and Veritas." The reason behind the restrictions is to make these regions something of a turnkey approach for organizations, including the Australian and New Zealand governments, that fall under heavy regulation for security and performance reasons. Along with foreign ownership, these issues have kept some industries from being able to effectively leverage public clouds both in Australia and across the globe. An online form on the Azure website for potential customers to apply to use the Australia Central regions lists 11 sectors, all of which could fit under the heading "essential services." It includes all levels of government and government services, such as policing, health, and defense, and includes transportation, banking and finance, communication, and food. 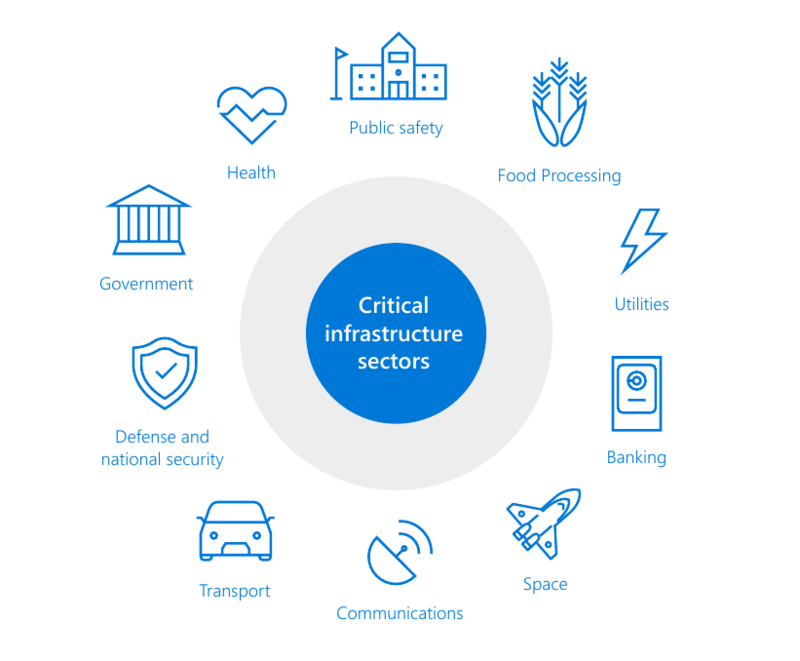 "All of these critical sectors depend on mission critical and safety-critical technology and applications," Azure notes in a white paper. "The applications they deploy internally, and those they deliver to clients, must be high performing, resilient and secure. The problem is that some are outdated and no longer support modern workflows, access to data and the adaptability that users demand. Vital but encumbering, these mission-critical applications are increasingly exposed to external cybersecurity threats." The report goes on to say,"The software that supports critical national infrastructure needs to be modernized in a way that better supports business, limits the risk of cyberattack and reduces the cost burden of legacy technology. But the process is challenging, in part because these essential applications have demanding characteristics that until now have inhibited their migration to the cloud, where most other modern business applications are already operating." To address the issue of foreign ownership, always an issue in the post-Snowden era, Microsoft has partnered with homegrown colocation provider Canberra Data Centres for this project. The 11-year-old company currently has four data centers running on two campuses in the Canberra area with a combined capacity of 39MW. A fifth data center is under construction and is expected to be operational in September. In addition to being one of the largest owner-operators of data centers in Australia, already utilized by more than 40 Australian government departments and agencies, the company has the necessary certifications and security controls to handle "top secret" classified data. "A key to our new Australia Central regions is the ability for customers to deploy their own applications and infrastructure within Canberra Data Centres directly connected via Azure ExpressRoute to Microsoft’s global network," Keane said. "This offers a great deal of flexibility and surety on network performance and security, making these regions ideally suited to the complex challenge of modernizing mission-critical applications over time. Australian federal government customers can leverage their Intra Government Communications Network (ICON) for direct connectivity." He also said that Azure is the only cloud provider with more than a single region in Australia, and "the only global provider to deliver cloud services specifically designed to address the requirements of the Australian and New Zealand governments and critical national infrastructure."